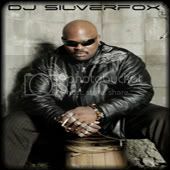 Part 5 in the Release Electro series put together by Dj SilverFox available now!! Use the play button for instant streaming, Click the download link to grab your own copy or simply subscribe via the Itunes link. This entry was posted on Tuesday, April 28th, 2009 at 17:26	and is filed under Dj Mixes, SilverFox. You can follow any responses to this entry through the RSS 2.0 feed. You can leave a response, or trackback from your own site.